Ayuda was greatly honored this week by a visiting volunteer team of medical specialists from the US. In support of their visit, Ayuda facilitated a special clinic in the impoverished village of Santa Catarina on Lake Atitlan. This was our second clinic in this village during 2009. 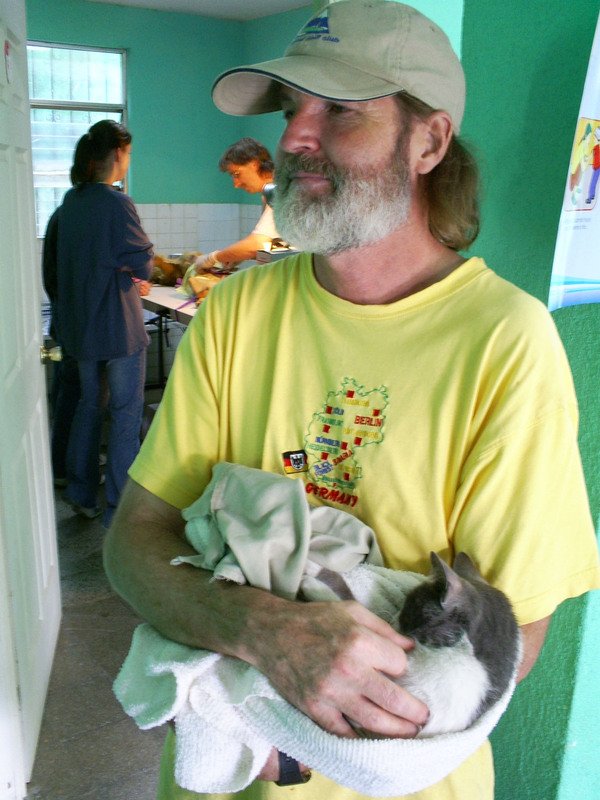 Dr. Jim and his assistants Cindy and Teryn were supported by volunteering Guatemalan professionals, including Ayuda Board Member Dr. Dennys from Guatemala City, Dr. Miguel from Zoo Mascota, and vet student Astrid from the University. During the course of the one day clinic, 24 animals were spay/neutered and more than 30 animals received vaccinations for rabies and other local deadly diseases, such as parvo and distemper. The clinic was also privileged by a special visit from the Santa Catarina mayor and members of his council. A brief but important impromptu meeting with Ayuda Board members was requested at the town hall to discuss the village’s issues with animal population control. A formal near-term appointment was set for Ayuda to present a plan which will help Santa Catarina avoid exercising specific population control alternatives, such as the traditional use of poison. 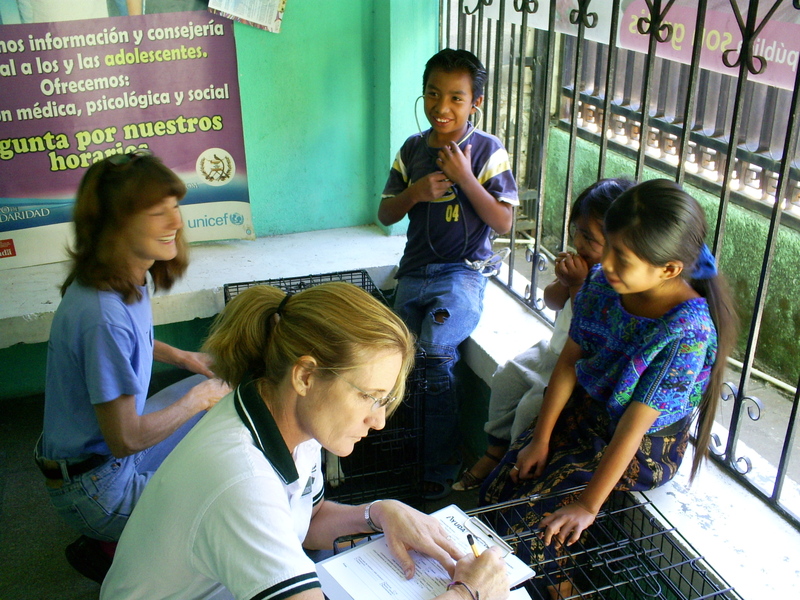 Operating costs for the clinic were provided through the Brigitte Bardot Foundation. 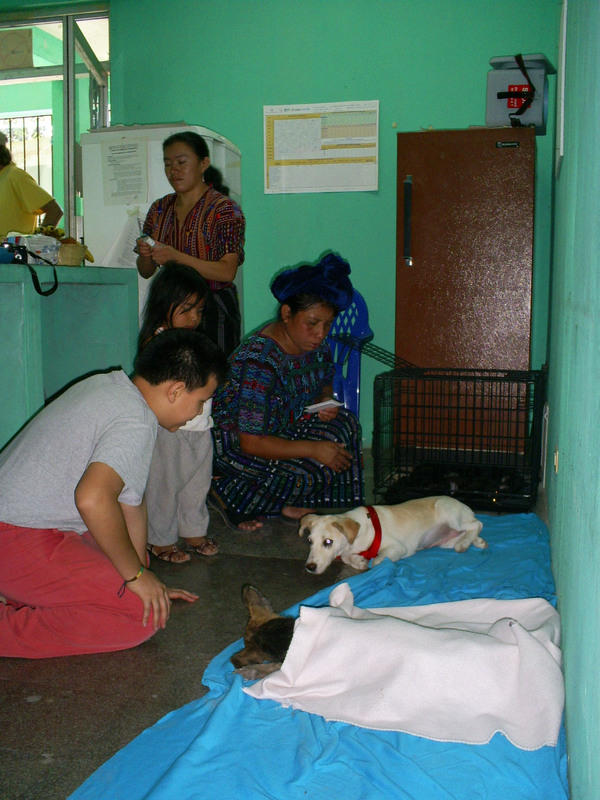 Surgery tables, holding cages, and other equipment were provided through funding by WSPA. Building facilities and rabies vaccines were provided by the Santa Catarina public Health Department. Blow pipe tranquilizing of uncooperative street dogs was provided by Dr. Dennys. Donations symbolizing the community’s recognition of their animal welfare issues were gratefully received from the village’s residents.